I have to say — that angers me. I’m not making light of depression. I’m not disqualifying emotions, chemical imbalances, or anything of that sort. What I’m saying is that Robin Williams was a man who lived his life with a gift that he used to bring joy to others, but suffered so much that he felt he could no longer live another second in this world. 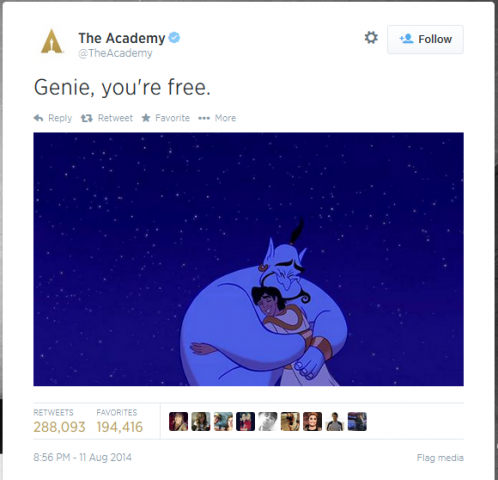 In that horrible way of social media his death is being glorified and touted as “freedom”. Suicide is NOTHING to glorify. Suicide is a horrible atrocity that absolutely destroys the people left behind. If another person had walked into his home and killed him, there would be shock, outrage, a call for laws to protect the innocent. 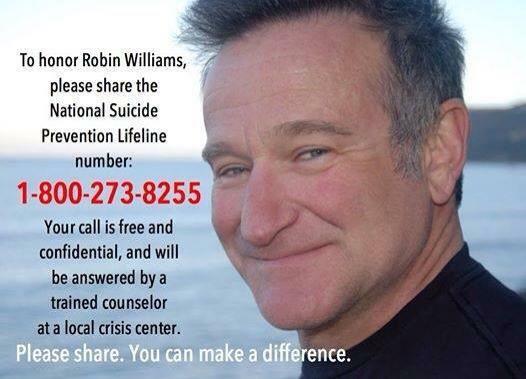 I’m so afraid that this gentle handling of the taking of one’s own life by a well-loved actor, especially someone who was an icon for many young adults as they were growing up, is going to encourage others to attempt suicide. Don’t fall for it. Don’t let the lies of the great deceiver whisper into your year that ending your life is freeing. Don’t look at the happy and loving picture of a fictional cartoon character hugging another fictional cartoon character give you a happy glow about the thought of committing suicide. Call someone. Call a help line. Call a pastor. Email a friend. Cry out for help. i do so agree with you. my husband’s oldest sister committed suicide in her sr. year of hi school. it devastated the family. it has been over 40 years and i still don’t think his mom and his sister have gotten over it. on the up side, they reported on the national news that the number of calls to suicide hotlines has increased considerably in the last two days. maybe people are realizing how it can affect loved one’s and friends.